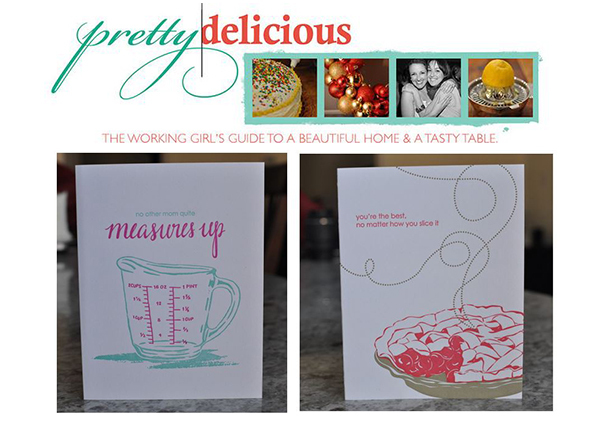 Congratulations to our Client Smudge Ink for their feature on Pretty Delicious! Founded in 2002, Smudge Ink is a Boston-based design company run by two women: Kate Saliba and Deb Bastien.Â A working letterpress studio, Smudge Ink is located in a renovated textile factory on the Mystic River in historic Charlestown, Massachusetts. Smudge Ink Â specializes in stationery and gift products including boxed notes, everyday greeting cards and gift wrap. Weddings by Smudge Ink is their custom wedding line where they work directly with clients to design and print unique invitations. Designing beautiful stationery and celebrating the art of the handwritten note. Check them out at Smudgeink.com!